Christmas is usually a flurry of wrapping paper, stickers, plastic packaging and consumerism; quite frankly a sustainability nightmare! So I am here to share some quick tips on how to have a more eco friendly festive season as well as my favourite more sustainable gift ideas. Less Is More. I know its tempting at Christmas to spoil your friends, family and loved ones with showers of gifts but try to keep it minimal. Go for one or two items which carry a lot of meaning and value, things they will use every day or treasure for years to come. They will appreciate this so much more than a variety pack of body lotions. Experiences. My personal favourite gift to give is an experience. Whether thats a meal together, a cookery class, gig tickets, a meditation app subscription, a workout guide or a spa treatment. The most valuable thing we possess is time. Giving the gift of making memories is one of the most meaningful things you can do. An Eco Kit. If your recipient is interested in living a more eco friendly lifestyle then you could gift them a sustainable hamper full of reusable goodies such as kilner jars, a reusable water bottle, cutlery, a straw, a coffee cup, a bamboo toothbrush and whatever other essentials you think they might like. You could even make a themed eco kit such as a beauty box full of ethical brands! Check out online shops like Plastic Freedom to find these items. 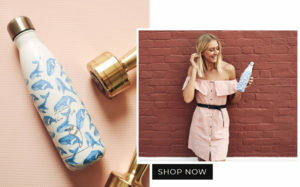 Ethical Gift Websites. There are incredible online retailers who specialise in eco friendly gifts which are made with a conscience. I highly recommend checking out House of Kind, Positive Luxury, and The Acey. There are tonnes more recommendations on this article and this directory. I have bought numerous treats for myself and others off these sites and they’re great for when you want a more sustainable alternative to a traditional gift. Stay Wild Swim. I mean I couldn’t do a Christmas gift guide without mentioning my very own sustainable swimwear brand could I? Stay Wild is one of the most ethical and sustainable clothing brands I have come across, because I created it myself! Not a single corner was cut, from the regenerated ocean plastic material through to the recycled and recyclable packaging – every detail was considered. Plus the designs are beautiful! And finally…Plants. Because everyone loves a plant. Avoid plastic coated wrapping paper. 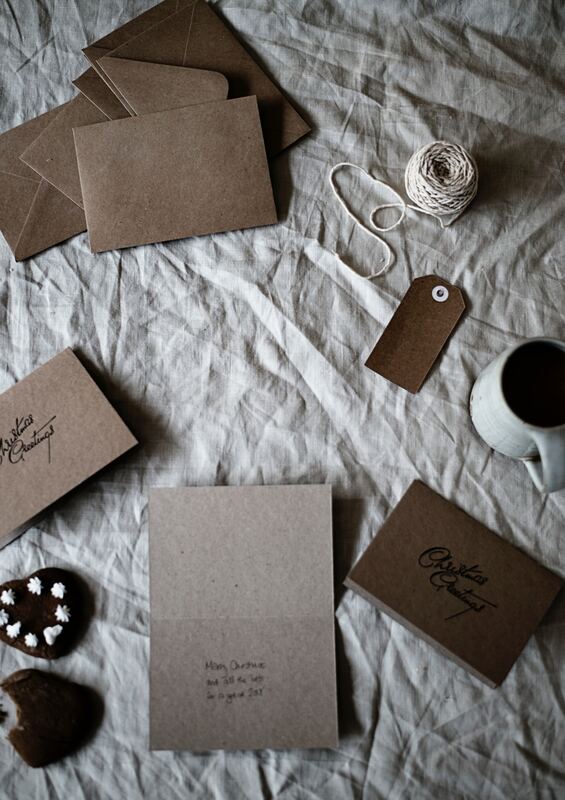 Instead opt for traditional brown paper, which you can tie with string. The perfect classic wrapping option which is 100% recyclable. If you want to go one step further, try wrapping your gifts in reusable scarves! Avoid gifts packaged in excessive plastic. When you do wrap them up try to stay away from stickers, plastic tags and ribbons which are all more challenging to recycle. Eat more plants. Christmas is traditionally a time for a meat feast, so try to incorporate more plants into your festive meals when you can. Switching animal based protein for plant based will help to reduced the carbon footprint of your Christmas celebrations. Skip the crackers. Instead make homemade treats or baked goodies to go on each guests placemat!